We attended Mrs. Harrell's Criminal Justice class on October 8, 2008. We had the pleasure of talking to her students throughout the day. The faculty and students greeted us with open arms and made us feel at home. Everyone had great questions and really quizzed us about becoming a Houston police officer. Thank you for the hospitality. 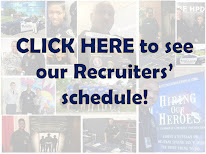 If you would like us to talk to your students about what it takes to become a police officer, write me an email and we will make it happen. Thanks again Mrs. Harrell. By the way, I still think after watching how you handled your class you would make a fine police officer. Thank you for speaking withn us! I hope that your - - - - - - (lol) had a wonderful birthday! The students really enjoyed you and Sergeant Barfiled, and I really appreciate you all taking the time out of your busy schedule to come visit with the students. Again thanks and I look forward to working with you all in the immediate future. Thank you,Thank You and Thank you. We had a great time and loved your students. 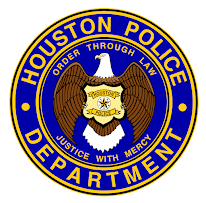 I am already getting emails from interested students to learn more about HPD. Thank you for your hospitality and by the way my daughter did have a great birthday!